The Entwined Hands Ketubah bursts with color, style and romance! 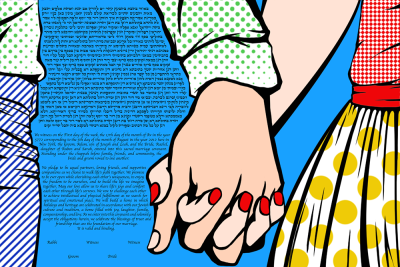 Inspired by the retro style of comic books and cartoons, this Ketubah features a couple holding hands with the Ketubah text in the backdrop. The fun style and subtle romantic feel creates the perfect balance to this already gorgeous work of art. This Ketubah is perfect for the true comic book lovers at heart… or for those who even just love the retro style! 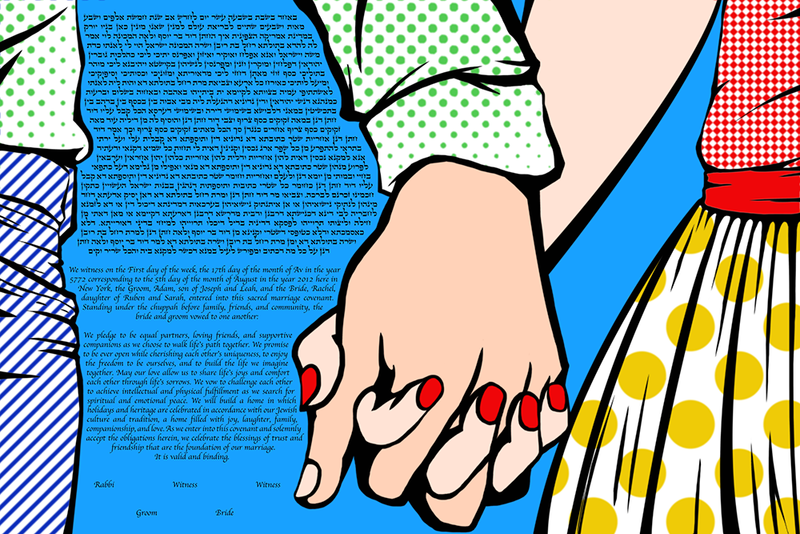 The Entwined Hands Ketubah will beautifully capture your relationship and a life filled with excitement, color and love!